There may not have been many occasions where Bill Gates himself wrote software at Microsoft but a game called DONKEY.BAS co-written by him, surely reminds us of him and one of his many creations. 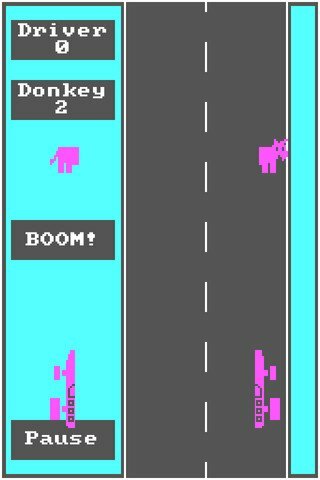 DONKEY.BAS was the first ever PC game, and was originally co-written and developed by Bill Gates and came pre-installed on several IBM computers in 1981. The idea was to attempt to promote the power of the new PC operating system – DOS that Microsoft was contracted with. It provided an enjoyable experience to many PC users but disappeared later following releases of more popular editions of Windows OS in subsequent years. However, all Apple iPhone and iPad owners can now enjoy a remake of the first-ever PC game, originally written by Bill Gates and Neil Konzen, an early Microsoft employee. Developers at XVision have taken it in their hands and have recreated an updated version of DONKEY.BAS for the iPhone and iPad by the same name. 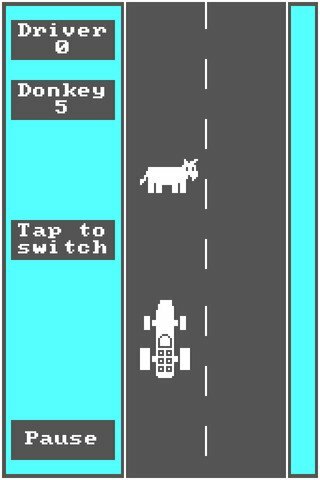 The recreated game retains the original’s 8-bit graphics and sounds, as well as the simple one-button control to change lanes in order to avoid oncoming donkeys. The company in addition to the current features has included a number of new features to the game to distinguish it from the original. To be successful, you need to react fast and change the lane with your finger on a single button because there is no room for mistakes. A slight distraction and your game get finished. To make game more interesting and things challenging, XVision has increased the speed at which the donkeys appear. All Apple device owners can get ready to relive the classic racing game. DONKEY.BAS is compatible with iPhone 3GS, iPhone 4, iPhone 4S, iPod touch (3rd generation), iPod touch (4th generation) and iPad. It requires iOS 5.0 or later and can be purchased from Mac App Store at a price of $0.99. You’re mobile page is terrible. Have you tried reading an article on it with the iPhone. Obviously not!